For a Basque surfer, a storm in Ireland is exciting news. Last year that storm brought to our Cantabrian Sea the waves that we were waiting to celebrate the Big Wave World Tour in Punta Galea (Basque Country-Spain). Surfers specialized in giant waves from the United States, Hawaii, Portugal, Chile, Peru, Australia, Brazil and South Africa, as well as Basque surfers, come every year all the way to our coast and its protected cliffs. 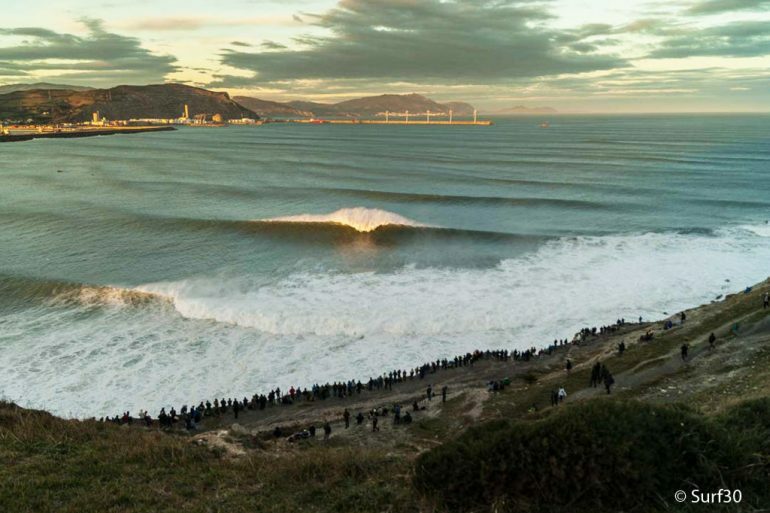 There are endless possibilities around surfing in the Basque Country. We are fortunate to be partners with Surfing Euskadi, an association supported by the Basque Government that ensures their service quality. We have extensive knowledge about the most hidden beaches, the different wave types, the expert professionals and, especially, the magic generated by this lifestyle. Surfing is our passion and that passion moves mountains, waves, and people. Do you want to enter with us in a sea of challenges?